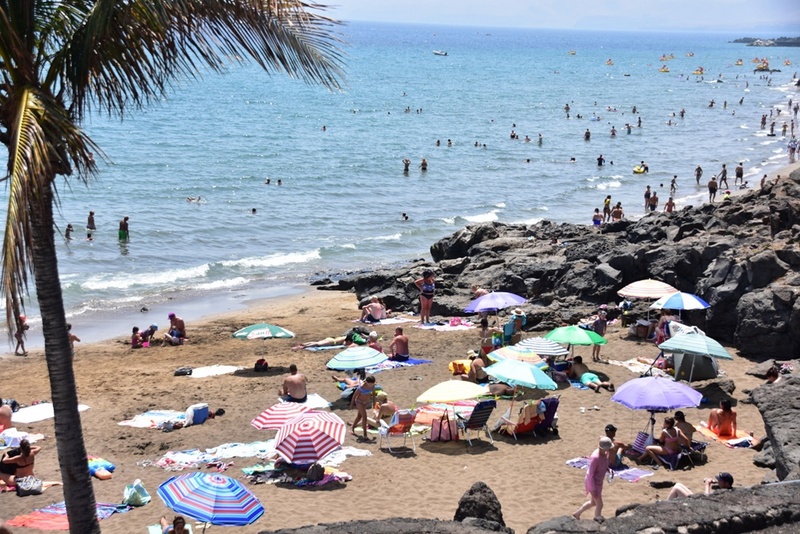 The heat will remain the protagonist of this day of Tuesday in Lanzarote with temperatures that may reach 30 degrees in areas of the interior and in the central hours of the day in the rest of the island, although the maximums from today will be in light decline. The sky will be little cloudy or generally cloudy , with some cloudiness at the end of the day in the north and west and the wind will be moderate north, northeast with strong intervals in areas of the interior. Yesterday they reached 37 degrees on the street Real de Arrecife just at noon, and in other areas where the sea breeze did not affect. In addition, the beach day was chosen by those who could enjoy it, with much heat and hardly wind throughout the island. In Fuerteventura temperatures of 34 degrees are expected today as in the peaks, east, south and west of Gran Canaria. Tenerife also maintains the high temperatures less in the north and in La Palma, the summits will be the hottest.